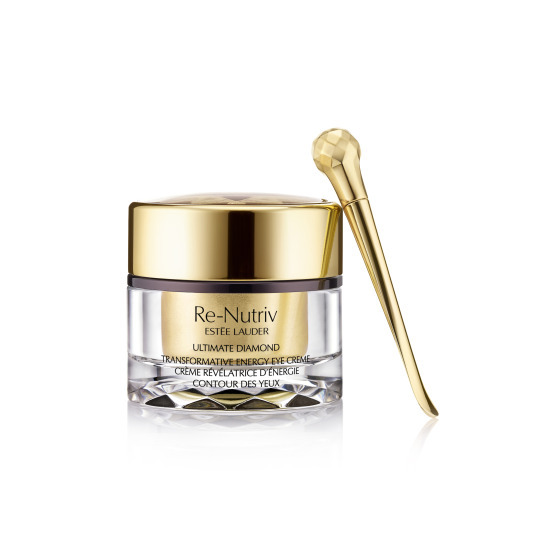 Introducing: ESTĒE LAUDER Re-Nutriv Ultimate Diamond Transformative Energy Eye Creme. Yup, the never ending search for the fountain of youth when it comes to skin care…particularly for us, women. No worries, there’s hope for aging skin around the eyes, as we all might be aware that the delicate area around our eyes is one of the first places to show visible signs of aging. And what a luxurious way to transform eye area skin with this eye creme. It’s infused with Black Diamond Truffle Extract, claimed to lifts, firms, re-energizes, sculpts and brightens the look of the eye area. FYI, black diamond truffle is one of nature’s rarest treasures that’s transformed through a certain process into a pure and precious extract with 10,000 hours in the making. It comes with the rotating applicator made of a cooling golden alloy. What an indulging way to treat the eye area! Like a massage wand, use the flat end of this applicator to apply a pearl-sized amount to the eye area, and gently tap with ring fingers as it absorbs. Then, hold the wand vertically, sweep the rotating tip from the inner corner under the eye to the temple. This massaging motion claimed to help increase microcirculation. Don’t forget to clean this after each use. Keep it hygienic, people! Hey dolls! Sorry for no blog post lately, as I’ve been busy with my day job. But I’m back!!! 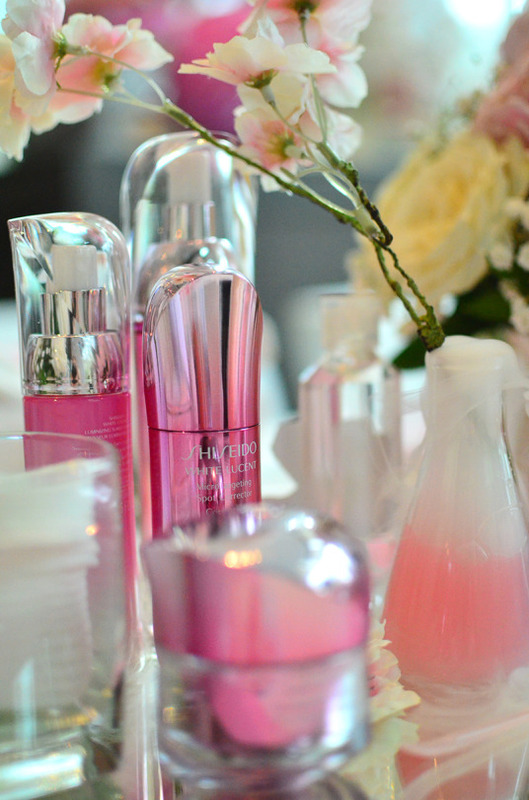 This time, I’m going to inform you about the latest products from MAYBELLINE NEW YORK. Imagine how happy I was, came back from work one night, and found this bright pink kit on my mail. 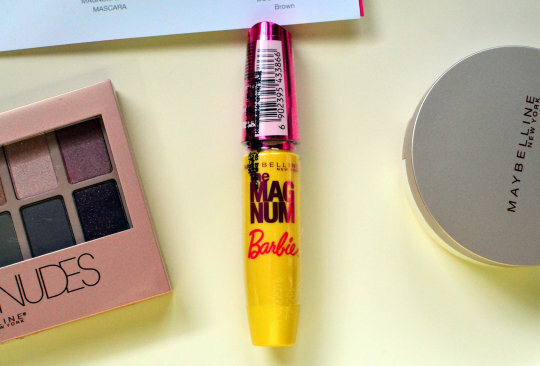 Four latest products from Maybelline New York, SUPER BB CUSHION, MAGNUM BARBIE MASCARA, THE BLUSHED NUDES AND VIVID MATTE LIQUID LIPSTICK. 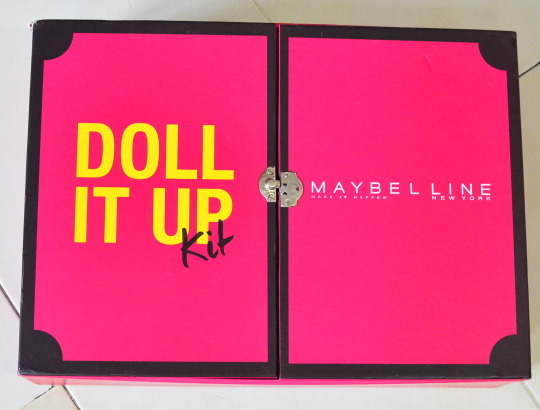 Also in the kit, a little book showcasing two looks of DOLL IT UP (created by Ryan Ogilvy, official makeup artist for Maybelline New York Indonesia), featuring two Indonesian superstars, Pevita Pearce and Velove Veloxia. Yes, both of them are Maybelline New York Indonesia’s brand ambassador. 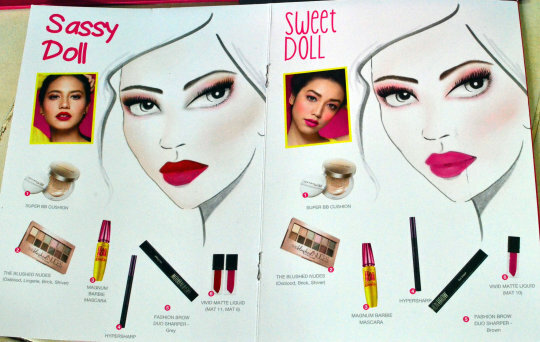 Ryan created Sassy Doll look for Pevita and Sweet Doll look for Velove which remind me a lot of Barbie’s makeup. Lots of pink ahead, dolls! I just opened the box, so I haven’t got the chance to review them yet, but I will soon. Meanwhile, here are some product infos from their release. 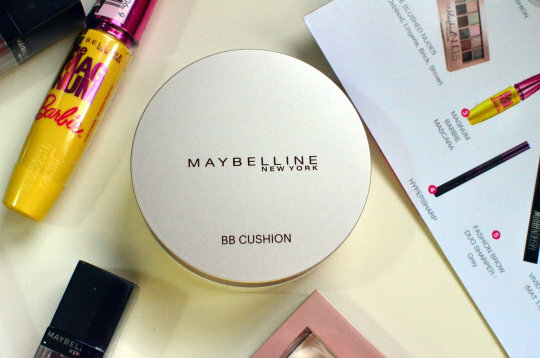 BB CUSHION: Wow, do Koreans influenced us all. Maybelline claimed that this will cover pores perfectly and give semi-dewy finish look. 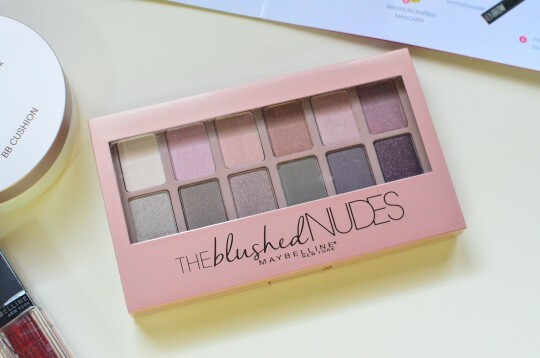 THE BLUSHED NUDES: The 12 shades of eyeshadows look prettier in real life. I believe this will bring out the feminine side in me (LOL). MAGNUM BARBIE MASCARA: This supposed to make our lashes look Barbie like, with its’ special brush and texture. 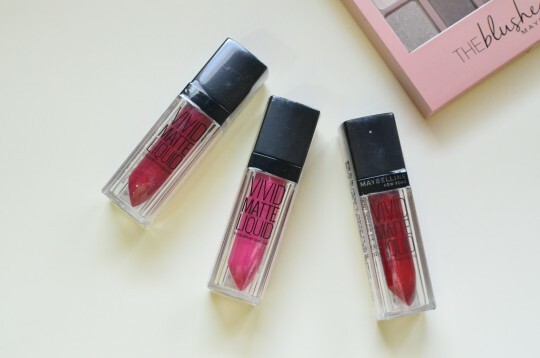 VIVID MATTE LIQUID LIPSTICK: There are actually 10 shades available and I’m pretty sure that I’m going to love them. Hello, they are matte and liquid. What else can I ask for? 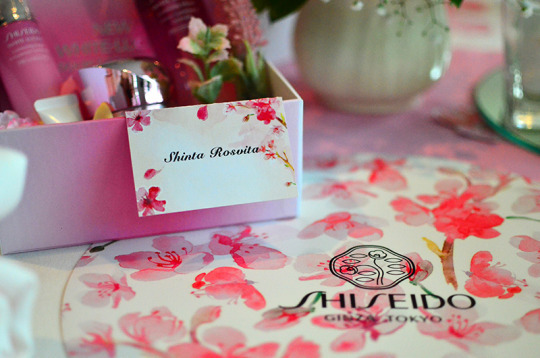 SHISEIDO WHITE LUCENT features SAKURAResist Technology to help skin become resistant to dark spot appearance. Earlier this week, I was invited to the launch with fellow bloggers. 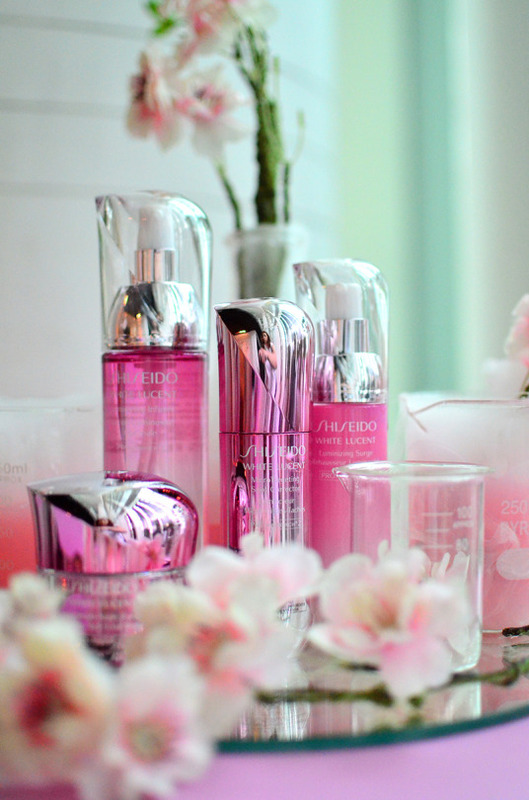 These are the revamped version of their previous WHITE LUCENT range. New packaging (more bright pink than the previous ones) and of course, new formula. The latest brightening technology PROApproachx2 will target spots with laser speed and resist the appearance of spots over time. Yes, we can call them ‘Double Brightening’. There are 4 products in this new range: MICROTARGETING SPOT CORRECTOR (serum). LUMINIZING SURGE (emulsion), MULTIBRIGHT NIGHT CREAM & LUMINIZING INFUSER (Essence Lotion). I believe their textures are more lighter than the previous series, and let me tell you, the sakura scent is incredible. I do prefer more lighter and soft scent for my skincare products, so from the scent alone, these already win my heart. Plus, their claim to lighten existing dark spots & prevent them from making any reappearances in the future, made me super excited to review more about these new products. Stay tune for the review. 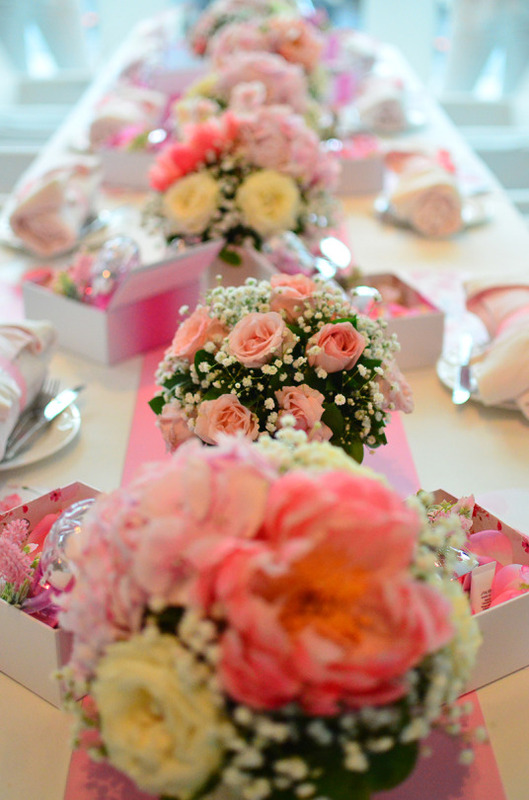 Meanwhile, enjoy the photos of their lovely decor at the launch event.